It’s rather quiet on the blog, as I’m knuckling down to finish my thesis. But I had to share this clip, because it’s so much in tune with what I’m writing. The link that Mia Ridge is sharing in the tweet is a CFP for a Museums Computer Group spring meeting provocatively titled ‘Innovation’:the Emperor’s new clothes?. Do follow the link, there’s some interesting questions there, asking if innovation ‘for the sake of it’ might still have a motivational and long lasting effect. That may well be the case. 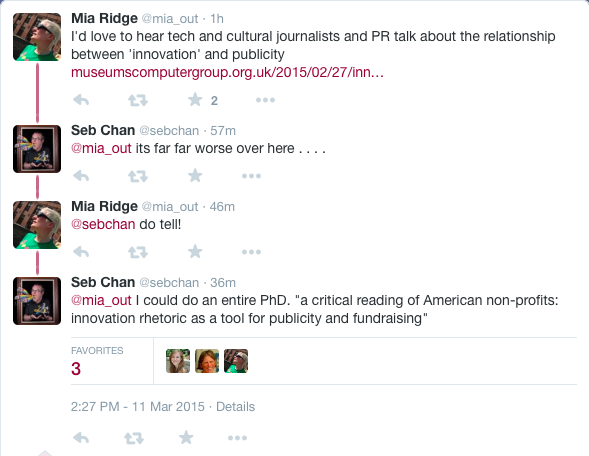 Still, I agree with Mia & Seb Chan that the incessant pursuit and trumpeting of’ innovative’ projects can get a bit wearisome. In order to secure the financial future of institutions, museums must not only adhere to state regulations and political dictates but also make their efforts visible and understandable to the powers that be and the public at large. […] Social media, thus, serve museum objectives well by creating the appearance of engaging the public with culture and the institution in the public discourse. However, the question of whether this communication also serves public interest in fact in terms of spurring on the democratisation of the museum institution is more uncertain. In fact, the feigned transition to a forum and coaxed inclusion of the vox populi may turn out to undermine genuine civic engagement and democratic exchange with the public. Far from advocating that museums refrain from using new media channels in any way, this article has pointed out the dangers of a prevalent rhetoric and blind communal consensus around the democratic impact of social media in museum communication. Unquestioned evangelism, hype and unreflected inclusion of social media could end up having the reverse effect, simply paying lip service to the social obligations of the museum. Museums, libraries, and archives—heritage, culture, knowledge, and memory institutions—can play a huge role in the story of how Earth’s 7 billion citizens will lead their lives, make and participate in their culture, learn, share, invent, create, cry, laugh, and do in the future. […] The entire architecture of the World Wide Web is based upon [Tim Berners-Lee’s ] humanistic, democratic ideals, and we can do a lot of good with them if we make wise choices and concentrate our efforts where they’ll matter the most. Technology can certainly help us rewrite the social contract with the communities we serve. It can offer us channels and tools to make good on the promise of a more egalitarian and unbounded approach. But it cannot in itself transform our organizations. That bit is up to us. Thus, the rhetoric of [INSERT: innovation, democratisation, participation, engagement, inclusion etc.] can be deceptive, and problematic when it becomes necessary to ‘talk the talk’ when applying for funding. Another tendency identified by Jensen was the strong focus on ‘activation’, i.e., engaging users/citizens/students/visitors/anyone in activities, which themselves become the objective rather than the mean. Thereby, he argued, ‘institutions disappear as institutions, to be reborn as functions’. The danger of these conflated tendencies, according to Jensen, is that as all institutional spaces become multifunctional and interdisciplinary, they also become homogenous. The museum becomes a space like any other. The ship is the heterotopia par excellence. In civilizations without boats, dreams dry up, espionage takes the place of adventure, and the police take the place of pirates. Jensen concluded that the ethical obligation of museums would be to withstand the winds of change for changes sake, withstand the hypes and homogenisation, in order to remain relevant. 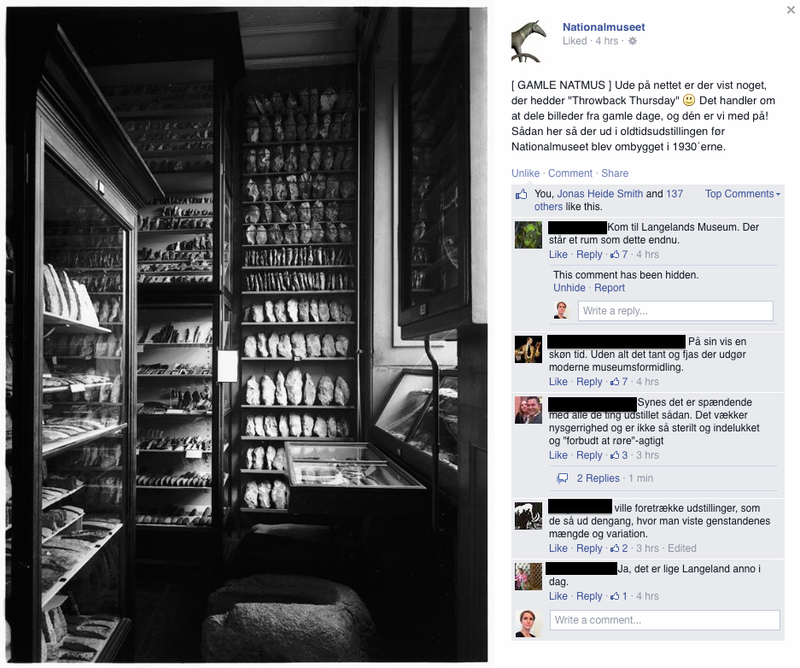 Museums and museum websites can be disappointing to people used to the more open, participatory, and playful collaborative environments they find elsewhere on the Web, and sometimes they take action. This may be true. 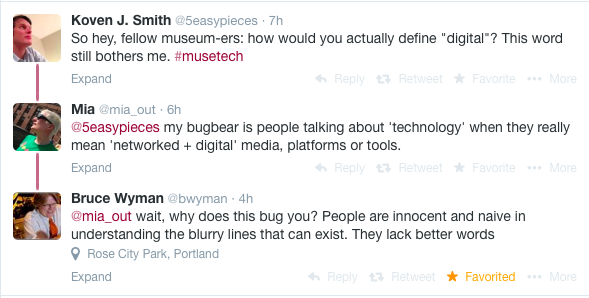 However, considering Jensen’s argument, should museums really be like the web? Aren’t the humanistic and democratic ideals, which Edson attributes to Tim Berners-Lee, already at their core? Whereas Edson’s point is that museums and the web are really not that dissimilar, perhaps there could be a point in keeping them distinct? In the 2006 article ‘Aesthetic experience in everyday worlds’, Hans Ulrich Gumbrecht ‘reclaims the utopian motif’ that aesthetic experiences may occur in the everyday. The article builds on the ideas presented in his own book The Production of Presence (2004), as well as on Kant’s description of aesthetic experience as ‘disinterested pleasure’ – disinterested because it is independent of purpose and function, which we otherwise tend to pursue (as per his definition of beauty as ‘purposefulness without a purpose’) – ; on Heidegger’s dual concepts of ‘earth’ and ‘world’ (which, to be honest, I don’t quite get, but it’s something to do with objects, as we are experiencing them, being at the same time conditioned by and concealing their ‘primordial givenness’, and yet historically specific, erm…); and finally on philosopher Martin Seel’s idea that aesthetic experiences, or, in Seel’s terminology, the effect of appearance, is conditioned by a decontextualisation of the object and its related conceptualisation from its original context (Gumbrect 2006:305). From this complex of ideas, which all, as Gumbrecht points out, focus on the subjective experience rather than on the ontology of the object of experience, Gumbrecht proposes four concepts contained in aesthetic experiences: the content of aesthetic experience (i.e. the feelings & impressions experienced); the objects of aesthetic experience (i.e. that which triggers these emotions); the conditions of aesthetic experience; and finally the effects of aesthetic experience (that is, the consequences or transformations produced by the experience). The condition of decontextualisation is characteristic of museum objects (not only due to the physical museum context, but also to the practical and symbolic process of musealisation, cf. Desvallées & Mairesse 2010), but both Seel and Gumbrecht hold that, in principle, any object or concept is capable of becoming decontexualised, and therefore that effects of appearance or aesthetic experiences may occur also in the context of the everyday. In fact, Gumbrecht asks, ‘[h]ow much longer will the visitors of museums be bored to near-death with the self-accusatory truism that museums (inadvertently or not) give a certain aura even to the most banal objects?’ (2006:315), when ‘straighforward pleasures'(ibid. :316) of the everyday may provide more intense or enjoyable aesthetic experiences? 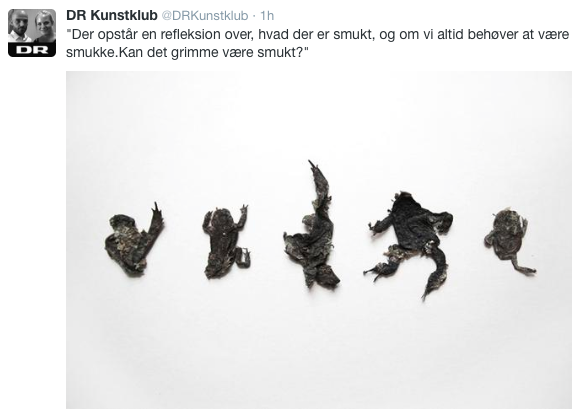 Having just finished Gumbrecht’s article, I came upon a short series of tweets from @DRKunstklub showing a collection of dead frogs, which added another perspective to the notion of everyday aesthetic epiphanies. The fascinating story behind the collection is told also on DR Kunstklub – a division under the culture and arts section of the Danish Broaccasting company – ‘s website and Facebook page as well as on the independent website I Do Art. Here Lone, the collector, says of her motivation for her unusual collecting interest that ‘I collect in order to create philosophical questions and contemplate things’ like life, death and destiny, and later explains how, in the case of this particular group of dead frogs, found on a road, it was the aesthetics that suddenly spoke to her, and inspired contemplations about beauty. A revised version of the paper I presented at the Museum Metamorphosis conference in Leicester last year, has now been published in the latest issue of Museological Review. 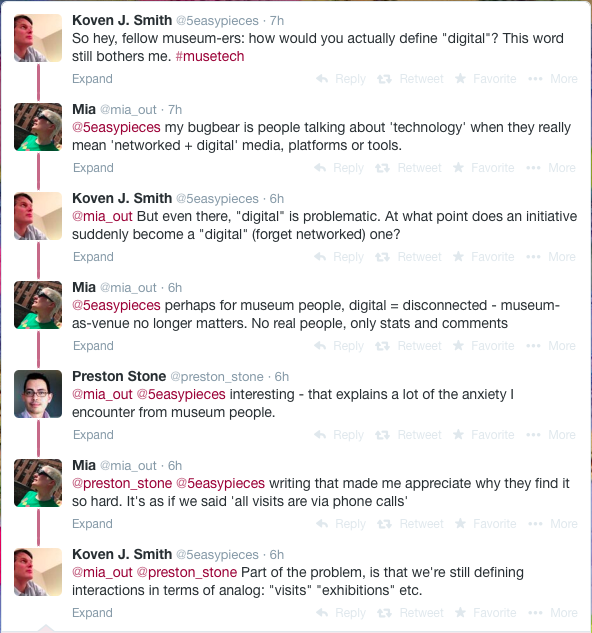 Museums are steadily changing. Yet analogising this development with biological or mythological metamorphosis could imply an elevation or naturalisation of events, which is potentially problematic. 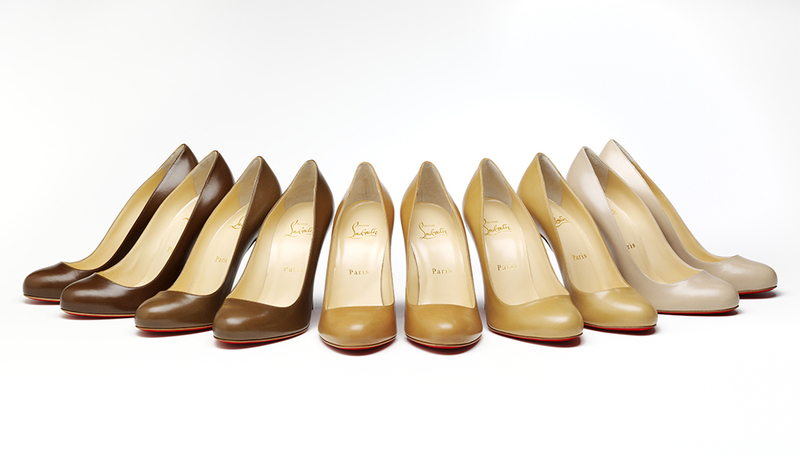 This paper therefore suggests a supplementary perspective, arguing that certain changes in modern day museum practices correspond to the logic of fashion. Where Foucault once described museums as heterochronias; places representing an ’other-time’, museums now strive to be both of their time and in time with the Zeitgeist. As a consequence, they must keep up with the speedy cycles of technological advancements and cultural change, and not only deliver, but also stoke the desire for, novel experiences. The paper explores the current vogue for fashion exhibitions as a case in point, arguing that this trend serves to promote the museum as fashionably current, but can also support novel formats for cultural reflection.